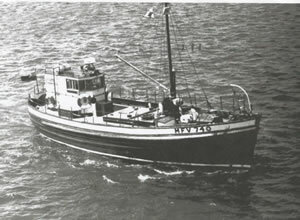 MFV 740 was one of fifty such vessels ordered on 6 April 1944 and one of several commissioned from the yard of J. Bolson & Sons Ltd. Along with two other craft, she was completed on 22 March 1945. Sea trials were carried out on 26 March 1945 and were reported to be satisfactory on the following day. 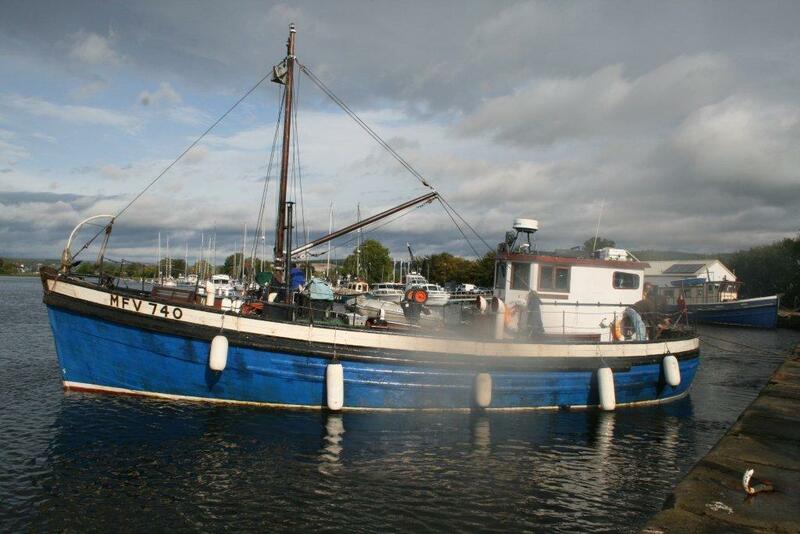 MFV 740 then waited for a ferry crew to deliver her to her original destination of Glasson Dock. They arrived at Poole on 3 April and the intention was to sail to Weymouth, but by late evening orders were changed. 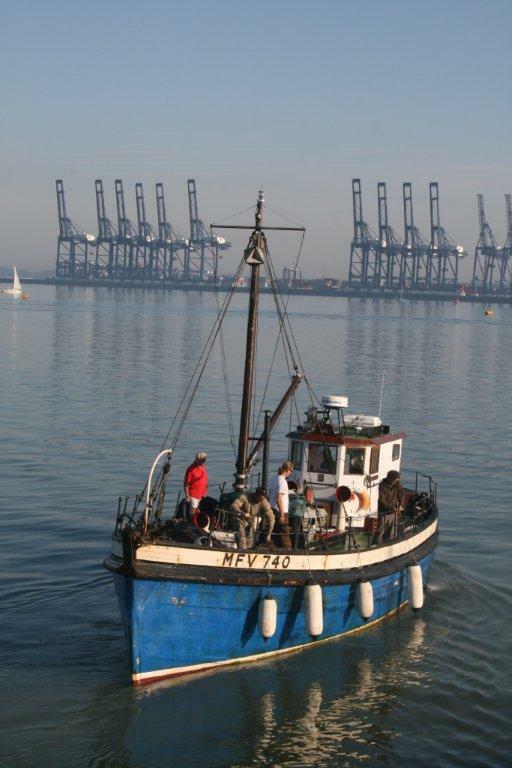 MFV 740 was now to sail for Southend and thence to London, for allocation to the Commander in Chief. MFV 740 was later refitted and transferred to Lowestoft. However, by 3 December 1945, patrols were no longer needed and she was offered to other commands for further use. She was sailed to Grangemouth for care and maintenance and a ferry crew requested to carry out this work. Before the crew arrived, they had been re-allocated to Rosyth to service the Reserve Fleet held there. She remained in Rosyth operating from HMS QUEENSFERRY and servicing the Reserve Fleet under the control of the Senior Officer until early 1950. She was then moved to the Clyde boat pool and worked in the area until 1951 when she was surveyed and given an expected hull and machinery life of over five years. At that time, MFV 740 was allocated to the resident Naval Officer and Senior Officer of the Reserve Fleet, based on HMS JUPITER. In 1953, a new Foden FD6 engine was installed and MFV 740 was re-fitted on the Clyde at the yard of Mssrs. McIntyre Bute. 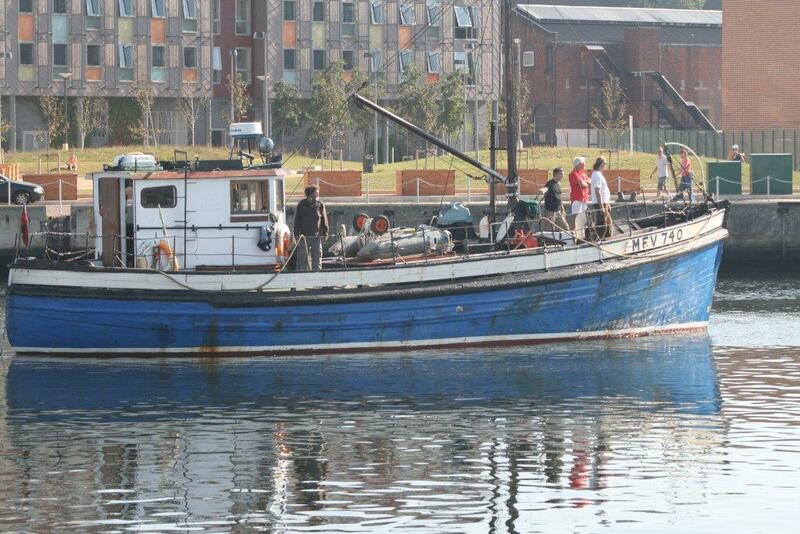 She continued to operate in the Clyde area and was surveyed approximately every year. MFV 740 was finally transferred to the custody of CINCNAV HOME for use by the Northern Area SCC on November 1981. MFV 740 came under new ownership in the Autumn of 2011 and is currently lying in Ipswich Wet Dock, and it is from there that she will operate. She is very much as she was when when she was under previous private ownership in 1987, which is effectively as she was when built externally. She is one of the same batch of 50 ordered by the Admiralty in April 1944 from J Bolson and Sons of Poole, a sister ship to registered vessel LADY FLORENCE.